The United States is mulling a request from the UAE to provide direct support for an attack to control the port of Hudaydah, currently held by Ansarullah, a major lifeline for Yemen, officials say. US officials stated that Secretary of State Mike Pompeo has asked for a prompt assessment of the UAE’s appeal for assistance such as surveillance drone flights to back up a Saudi-led coalition capture of Hudaydah. The debate over increasing US support to the UAE and Saudi Arabia takes place amid escalating military operations around the Yemeni port despite UN warnings of disastrous effects on the impoverished country. Eighty percent of commercial and humanitarian supplies flow through Hudaydah, a central gateway. 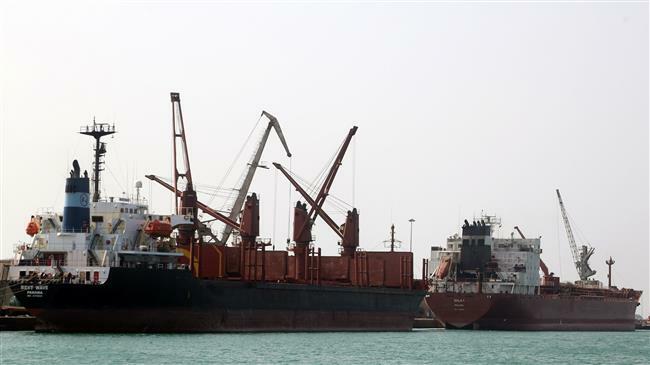 Since May 27, forces affiliated with Saudi Arabia have been closing in on the port, claiming that Yemen’s Ansarullah movement utilize it for weapons delivery. American officials say the UAE and Saudi Arabia have affirmed to Washington that they won’t attempt to take the Red Sea port until they get assistance from the US. “We continue to have a lot of concerns about a Hudaydah operation,” said one senior US official, quoted by The Wall Street Journal. “We are not 100% comfortable that, even if the coalition did launch an attack, that they would be able to do it cleanly and avoid a catastrophic incident,” the official added. Senior Yemen specialists in the US administration were expected to meet on Monday to discuss what should be done, the newspaper said. According to the Journal, Riyadh and Abu Dhabi have long sought to get backing from the US. Last year, the Saudi-led coalition unsuccessfully sought to secure American intelligence, surveillance and direct support from elite US military forces for an attack on Hudaydah, former US administration officials said. For now, prominent administration officials involved in the debate harbor reservations about expanding the American military role in Yemen, but some back providing assistance to the UAE, officials said. “We have folks who are frustrated and ready to say: ‘Let’s do this. We’ve been flirting with this for a long time. Something needs to change the dynamic, and if we help the Emiratis do it better, this could be good,’” the senior US official said. Some administration officials are also increasingly disappointed that both military and diplomatic efforts have bogged down, which is fueling efforts to end US support for the fighting, the report said. The US has been lavishing sophisticated weaponry upon Saudi Arabia since March 2015, when the latter attacked Yemen to restore its Riyadh-friendly former government. Washington also helps to refuel Saudi and UAE warplanes that conduct airstrikes on Yemen. According to figures published by the Yemeni Ministry of Human Rights, more than 600,000 people have been killed or injured in the Saudi war since 2015. Yemen has also turned into the scene of the world’s worst humanitarian catastrophe. The Red Cross and the United Nations have warned against the dangers of the Saudi-led operations in Hudaydah. “The push for Hudaydah is likely to exacerbate an already catastrophic security situation in Yemen,” said François Moreillon, head of the International Committee of the Red Cross delegation in Yemen. “We are all very concerned about the possible humanitarian consequences of a battle for Hudaydah,” he said.